For all you local quilters in the west suburbs of Chicago land, I will be teaching this Saturday at Sew Generously in St Charles, IL. I will be the featured artist at Sew Generously in St Charles IL on May 10, 2014. 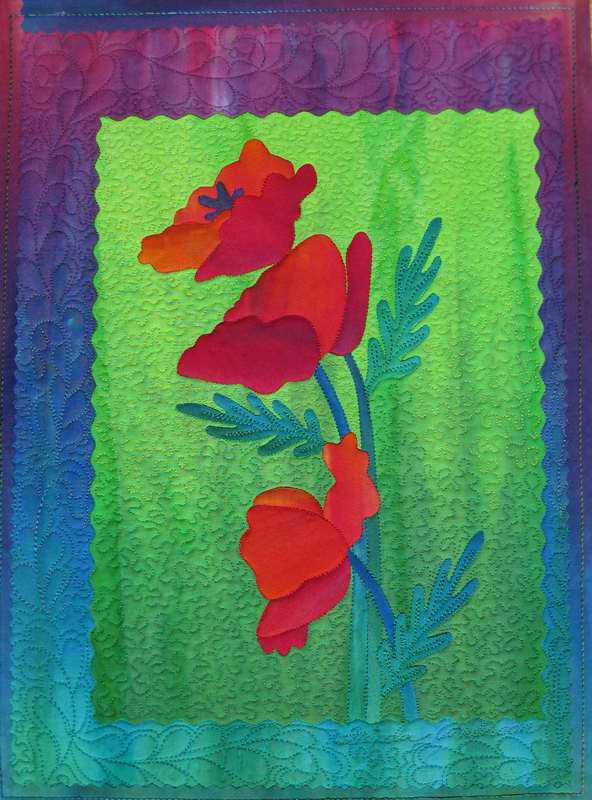 In the morning I will give my lecture on Machine Quilting and in the afternoon I will offer a half day class of fusing – Field Poppies. This is a great opportunity to come in and see what new fabrics there are at the store and take a small fun fusing class with me. You will go home with a finished art quilt top ready to be quilted (and you will know how after watching my lecture) and hung on your wall all summer long.